Katchushi means armorsmith in Japanese. So, it is said that the definition of Katchushi-Tsuba is tsuba made by armorsmiths. Though, this definition is suspicious. 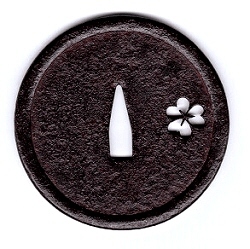 Instead, we can find so many Ume or Sakura flowers openwork in this kind of tsuba. 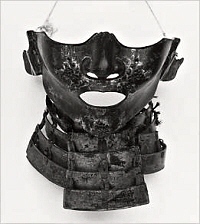 Those openwork look similar to ears of the masks of Katchu (=armor). So, old people said this kind of tsuba "Katchushi-Tsuba". This theory seems to be true. Makers of Katchushi-Tsuba must be all smiths including armorsmith who made their livings by some kinds of forging.